There are a number of verbs and nouns that have come into the English language not just through history and tradition. Successful products and popular software have led to an expansion of English vocabulary - as well as providing us with useful tools! Callum and Finn discuss this topic in this edition of 6 Minute Vocabulary. And me Finn. Today we’re talking about words like Hoover and Xerox, which started as brand names of particular products, but now are often used to refer to other similar products. And some of them are also used as verbs. Words like these are called eponyms. There will be a quiz; and of course we’ll bring you a top tip for learning vocabulary. But first let’s listen to Cath. She’s chatting a bit about brand names that have become part of the language. And listen out for the answer to this question: how does Cath say do you use Facebook? ‘I’ll google it.’ How many times a day do you think or say that? Google is the number one search engine today and people sometimes talk about googling even when they’re using a different search engine, like Bing or Yahoo. In the same way Facebook is number one for social networking and Skype for web chats. So do you facebook or skype your friends? And how often do you xerox a document or go rollerblading? Right, that was Cath. And we asked: how does she say do you use Facebook? That’s right. Cath uses facebook as a verb because Facebook has become so much a part of our lives that we need a verb to talk about using it. So that’s a bit like using the word Hoover, isn’t it? Exactly. 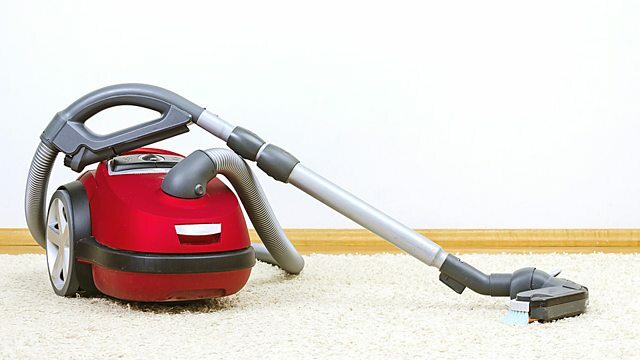 Until the middle of the twentieth century, the Hoover brand was the biggest name among vacuum cleaners. That’s why we say that we hoover our carpets. But today that means ‘use any vacuum cleaner’, doesn’t it? Not just the Hoover brand. It does. So in fact that’s a bit different from the verb to facebook. Because that only means to use the Facebook site. But who knows? It might change and be used more generally in the future to refer to other social media sites. Now let’s have our first clip? ‘I’ll google it.’ How many times a day do you think or say that? Google is the number one search engine today and people sometimes talk about googling even when they’re using a different search engine like Bing or Yahoo. So, that’s another example, a bit like Hoover. There’s the verb to google, the brand name Google, and the noun googling to talk about the activity of using Google. Yes, and like hoover and hoovering are good for other vacuum cleaner brands, people can be using any search engine when they use the verb google and the noun googling. Now, one thing to remember is that trademark names like Google, Facebook and Hoover should have a capital letter. But the verbs and nouns that come from these names don’t. Mmm. On to clip 2. In the same way Facebook is number one for social networking and Skype for web chats. So do you facebook or skype your friends? And how often do you xerox a document or go rollerblading? So, Callum, what do we do when we use Skype? We do. Skyping is a popular way to contact friends and business colleagues around the world. And this software has given up this new verb, to skype. And then Cath threw in another couple of examples with this type of word, didn’t she? Yes, she talked about xeroxing a document. Xerox is often used to mean photocopy, both noun and verb, and it comes from the company Xerox, which produced the first plain paper photocopier. But we should mention that this is an American English expression. It’s not one we use very often in British English. She also mentioned going rollerblading. Rollerblade is a brand of inline skates that became so popular that we now have the verb to rollerblade and the noun rollerblading. And today they’re used whatever brand of inline skates we’re using. Other common words like these are Kleenex meaning any kind of paper tissue and Aspirin for painkillers. But they don’t have verbs to go with them. And we’re talking about eponyms as nouns and verbs. And time for the quiz! Number one: How else can I say do the vacuuming? It is! Number two: What’s another way of saying: I often talk to my friends on Skype? It’s I often skype my friends. Excellent! Number three: What does: Would you like a Kleenex mean? It means: Would you like a tissue? That's correct! And that’s the end of the quiz. Facebook your friends if you got them all right! But before we go, here’s today’s top tip. If the name of an object has a capital letter, it’s probably because it’s an eponym from a brand. Look it up in a dictionary, where it should be labelled ‘trademark’, and check whether there are useful verbs or nouns that come from it. Practise making new sentences with those words. There’s more about this at bbclearningenglish.com. Do join us again soon for more 6 Minute Vocabulary. You can download this programme from our Unit 27 Downloads page. Remember, you can also subscribe to the podcast version. I'll facebook you about it tonight. I sometimes spend hours just googling. Now you've heard the programme read more about this topic and try some quizzes in the activities.